In Pakistan, one in every 170 women has the lifetime risk of maternal death. This is compared with just one in 5,800 in the UK. Great work is being done to improve this figure, however, and as it’s International Women’s Day today we’re highlighting one project doing just that. 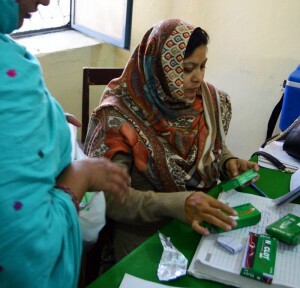 The Telemedicine project, funded by our Sub-National Governance programme, is combining cutting-edge technology with the pre-existing public health care infrastructure to improve diagnostic facilities for under privileged communities in Sheikhupura District. A key problem for expectant and new mothers is that consulting a doctor, like Rubina Qamar at the main DHQ Hospital, above, can be very expensive and waiting times long. 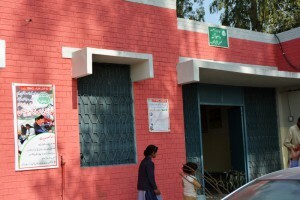 There are a number of Basic Health Units (BHUs) in Sheikhupura District, offering free health care to patients. The Telemedicine project is upskilling staff and providing technology so more procedures can be offered. 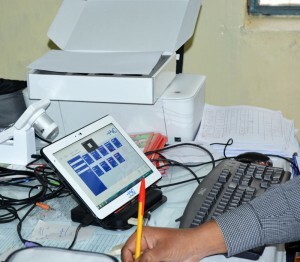 This tablet is used to record notes about patients, and was provided as part of the project. 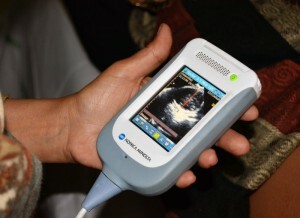 17 separate functions are now possible at the BHUs thanks to Telemedicine equipment. The project is the brainchild of Dr Saeed, Head of Children Complex at DHQ Hospital. “Pre-natal and post-natal care was virtually non-existent for women in the remote areas and there was no facility for timely diagnosis of complications that can be life threatening for both mother and child”. 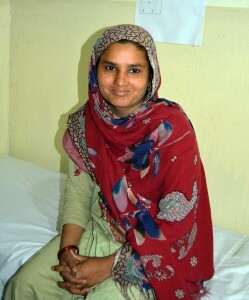 Anum is 24 years old and is two months pregnant with her first child. She is excited to get a sonogram, something her sisters had to go without during their pregnancies. She is advised by Hussna to eat a lot of apples and spinach, and to take folic acid regularly. Another expectant mother has an ultrasound scan. Again, these are free at BHUs, whereas at the hospital the cost would be prohibitive. 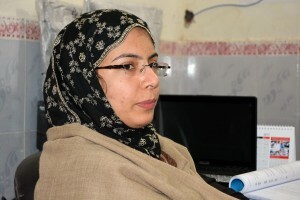 Razia has diabetes, and can now have her blood sugar levels checked at the BHU thanks to the Telemedicine equipment. She also gets insulin injections when needed. 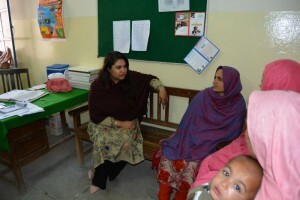 Saba (left), 21, is pregnant for the third time. Her first pregnancy unfortunately ended in a miscarriage. “The doctor told me the baby had died because I did too much physical work.” Saba’s Lady Health Worker (LHW), Rashida (right), showed concerns about the baby, so suggested she attend the clinic. Thankfully, scans showed Saba’s baby was healthy and well.